Hot off the Presses! Not all starches are created equally! I know we’ve all heard the saying “If it’s white, don’t bite” regarding potatoes, rice, etc. I am here to tell you today that emerging research is showing this is NOT the case. 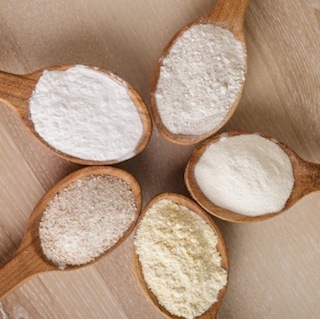 Resistant starches are starches that resist digestion in the small intestine and pass through to the large intestine. In doing this, they are much more slowly metabolized and often times act similarly to fiber, minimizing these foods impact on blood sugars. The starch in seeds and legumes resist digestion due to the fact that the starch is bound to the cell walls. 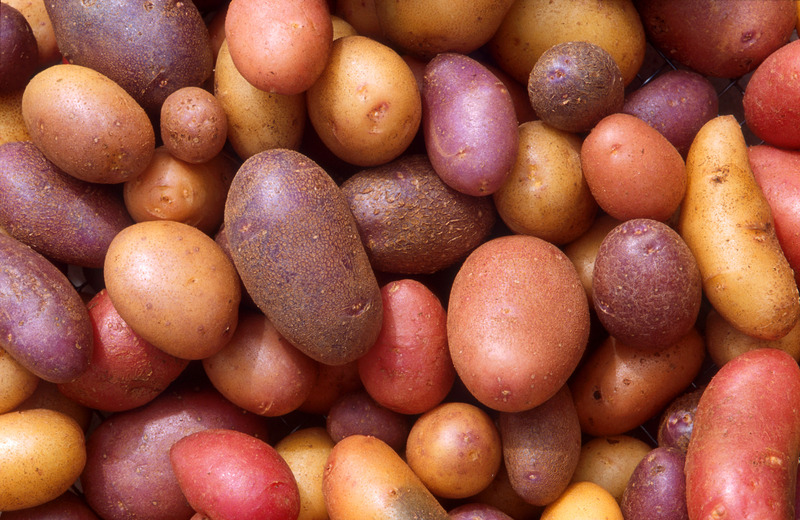 Raw potatoes and bananas that aren’t fully ripe also have an indigestible starch. Potatoes and rice that are cooked then cooled (6-8 hours) turn a traditional starch into a resistant starch. This means that your body will resist digestion, and instead of acting like a starch it acts like a soluble fiber. This is still considered a carbohydrate, but instead of it being digested in the stomach and small intestine, it bypasses it and goes directly to the large intestine and colon where it feeds the “good bacteria” in your gut. The bacteria digest the starch at that point and turn it into a short chain fatty acid. Implementing this in your diet will regulate your insulin levels! This will make your body more responsive to blood sugar changes and will minimize the flux of blood sugar and insulin levels even in those who are currently in Metabolic Syndrome. Resistant Starches will also improve digestion and reduce gas, bloating and other uncomfortable side effects that occur with digestive upset. We have a few ways to incorporate this cutting edge research into your daily life. One easy way is to add 1 tbsp of unmodified potato starch (Bob’s Red Mill is an easily accessible brand) into your shakes. You can also reintroduce small amounts of rice pasta. This pasta must be cooked, then cooled in the refrigerator for 6-8 hours for the starch to become resistant. 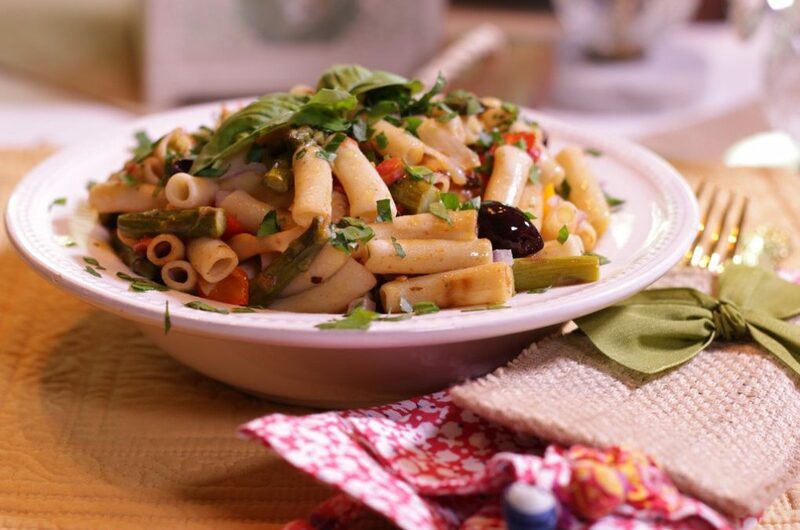 A pasta salad or primavera are great ways to try this out. 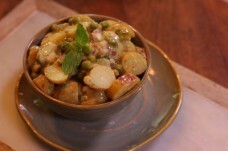 You can also try my personal favorite, our Potato and the Pea potato salad. I hope you enjoy it as much as I do! Combine dressing, potatoes, and peas. In order for this to become a resistant starch, the potato salad must be refrigerated for 6-8 hours. At this point, the starch will have minimal impact on your blood sugar.